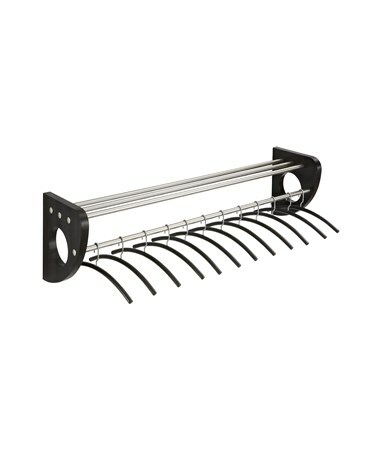 The Safco Mode Wood Wall Coat Rack with Hangers is a great unit to maximize space for organizing and storing garments. 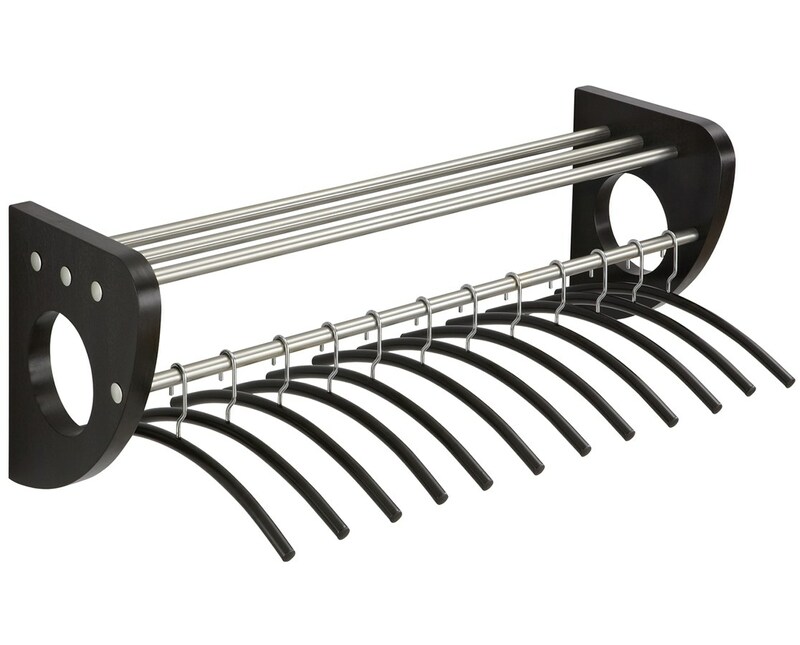 It features three poles that form a shelf and a lower bar for holding hangers. It also includes 12 steel coat hangers with silver hooks and mounting hardware. This rack is easy to mount on any walls and its capacity depends on the wall where it is mounted. The panels are made of wood with wood stain finish while the poles are ¾-inch diameter steel tubes with a matte silver coating. 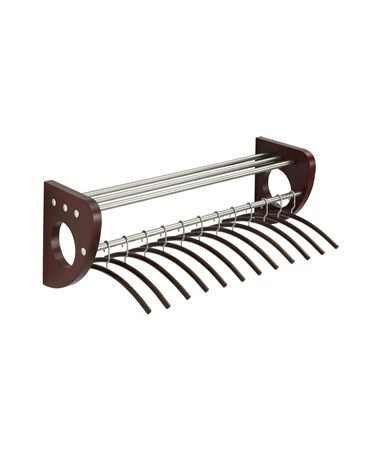 The Safco Mode Wood Wall Coat Rack with Hangers is available in different widths and colors. Please select your preference from the drop-down menu.